But the country leads the world in Internet application, through such measures as the number of users and time spent online. China ranks number two in the world in Internet development, behind the United States, a report by a Beijing-based think-tank released yesterday at the World Internet Conference in Wuzhen says. The World Internet Development Report says China's strength is underpinned by its improved information infrastructure and its booming digital economy. The world is going through a broad and deep science and technology revolution and industrial transformation, President Xi Jinping said in a congratulatory letter to the Wuzhen conference. Although ranked second overall, the report said China leads the world in “Internet application”, based on measures such as the number of online users, the time spent on social media and the market size of online shopping. 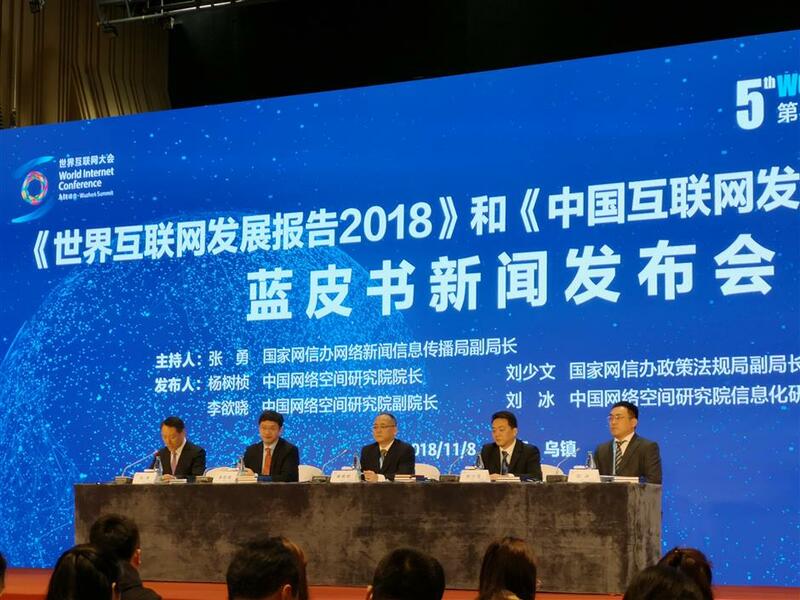 China’s information infrastructure, including the mobile subscriber base and broadband speeds, has become the strategic foundation for economic and social transformation, said academy head Yang Shuzhen. China ranks number one in terms of applications such as mobile payment and e-commerce — e-commerce transactions reached 29.16 trillion yuan (US$4.23 trillion) last year, up 11.7 percent year on year. China’s digital economy is gathering momentum, contributing 55 percent to the country's economic growth. Other leading countries in Internet development are the United Kingdom, Singapore, Sweden, Norway, the Netherlands, Switzerland, Germany and Japan. China leads the world in "Internet application", such as online shopping.